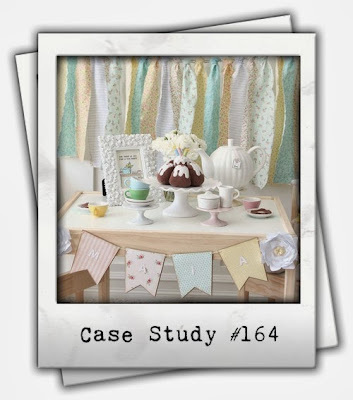 I hosted a "tea for three" party for my daughter's 3rd birthday... it was vintage sweet, with lots of pretty treats. I still love it. 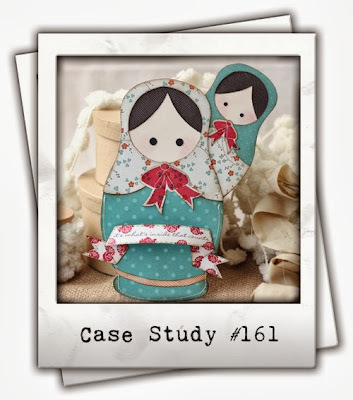 I used the same rag doll stamp set as I did for the party. Everything is completely masked. I was holding my breath the whole time, but I love that it looks like a piece of painted art. especially Iwona, for thinking my stuff worthy of inspiration, thank you! Eyeball gumballs in a clear box (because really, how could they be staring at you from anything but a see-through-box?) and a simple banner tag slipped into the front. I heat-embossed the banner outline and the "see you" lettering. The big eyeball is so fun - I bought a baggie of them from our local dollar store back when I did Thomas' monster party. Sidebar: I have to make my husband a costume today - fingers crossed that I can get 'er done. It may seem strange, to have an ice cream party in Montreal, in October, when we're starting to pile on sweaters and wear socks more regularly.... but two things: my sister was overly excited about the ice cream accessories she bought for her kitchen aid mixer, and my niece (the birthday girl) prefers ice cream to cake. Melissa designed all the printables for Lauren's 3rd birthday. They have such a sweet, vintage vibe to them. I created the backdrop and artwork for the party. For the artwork, I simply cut all of the pieces with the silhouette machine and sponged all of the edges with a soft brown ink. I wrapped a canvas that I had lying around (I keep failed artwork in the garage for just a time like this!) with brown packing paper. The cost of the paper was probably 2$. Not bad for the party table's focal point. The backdrop was so worth the few hours that it took me to create. I found something similar on pinterest, except that I used white napkins instead of tissue paper. I rounded the corners of a stack of white napkins, and then used fringe scissors to feather the edges. I had my helper (Sofia) help me pull apart the napkins so that I had thinner layers to actually layer the backdrop with. I cut a base of packing paper (white this time) so that I wouldn't be taping anything to the wall and started layering the pieces, from the bottom up. Easy, but a full afternoon's worth of work. Cost: 3$ for the napkins. The kids were in heaven. It doesn't take much to make a child's eyes twinkle. They all went straight for the gummy bears. My sister and I baked the cookies together, and then I brought them home for icing. I'm such an amateur cookie decorator that I didn't have many options for tinting the icing pink. All I had was "electric pink" (given to me by my bright-color-loving mama). I kid you not, I put a tiny bit into my white icing and it became bubble-gum. Way to ruin the vintage pastel party, huh? Rolls eyes. Go figure - I have cute sprinkles, but no proper pink gel coloring. ha. The leftover sugar cookie dough was scraped together and baked to look like ice cream scoops. The favors were a handful of ice-cream-shaped marshmallows. The kids were delighted and asked to eat them on their cereal the next morning. I won't tell you what I decided. Three candles in a tub of ice cream. It worked out so great. Happy birthday, Lauren! I hope you like it! I taught another card class on friday and the girls were all lovin' the yeti! hee hee. Have yourselves a rustic little Christmas. 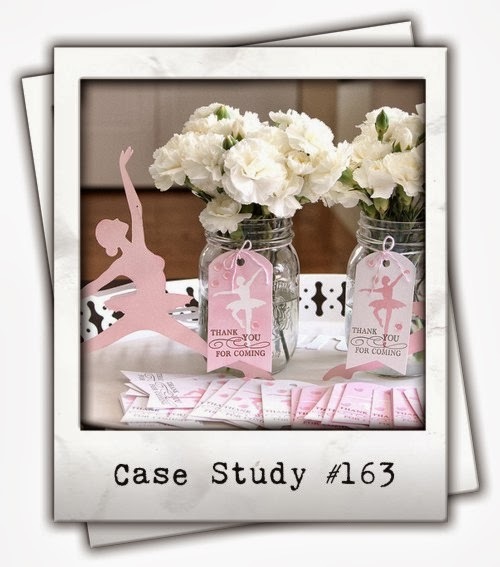 I love that the PTI blog hop this month is to create a set of 5 tags... everything looks prettier in a set! Having just gotten some new supplies (this stencil and this embossing paste), I knew immediately what I wanted to create. A very soft, rustic Christmas tag in kraft and red. I started out by stamping the "noel" sentiment in "red current" fresh ink. It's a pigment ink (slow-drying) so I had time to throw on some clear embossing powder and heat-set it. I love the bit of added texture it gives the tag. Next, the stencil: I think there's a tool you're supposed to use to spread the paste around, but I just slopped it on with my hands (goodbye, manicure. ha ha) The texture is dreamy, and it doesn't take as long to dry as I thought it would. I left the tags for about 30 minutes and came back to perfectly dried paste. My favorite part has to be the vellum holly leaves. I cut the berries out of vellum as well and then used a 2-way glue pen to add adhesive before dunking them into some red glitter. Messy, but totally worth it. That's all for me - have a great day, and happy hopping! This is my 4th week as the CASE study muse, and I'm still enjoying every minute. Have I mentioned that most of my favorite stampers are packed into the CASE study design team? 1. cut a double-layer of post-it note into a leg-ish shape. separate them and lay them down on the cardstock piece. 3. take the negatives (from the post-it templates) and also cut off the leg a bit. it's okay, we're making shoes. sponge pink ink into the empty space. 4. put your mat on a piece of foam and pierce holes. use embroidery thread to lace 'em up. 5. white-heat-emboss the sentiment (from Hero Arts' "magical castle") and assemble everything else. There you go. 5 (easy) steps. ps, it totally pays to have little girls in the house... a princess tutu was the perfect photo prop. Mini sets are IT today! We're showcasing "winter sparrows" and "happy new year." I started off by printing the "cheers to a" from my computer. I could have spelled the whole thing out with our amazing alphabet stamps, but I like the mix of fonts. Have printed half of the sentiment, I spelled out the rest with Milo's ABCs, and stamped a few accents at the bottom, to balance the clinking glasses up top. I hope you like it! Clink (haha, I mean click) over to the lawn fawn blog for more inspiration. Another day of lawn fawn inspiration week, and we're showing off the mini set, "winter in the park." 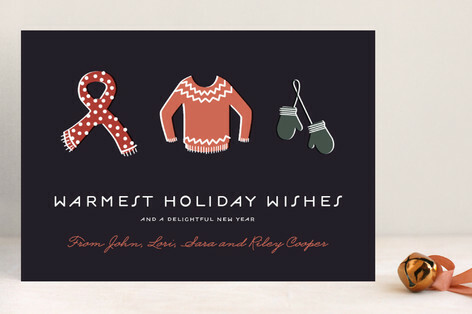 This is a card that would be easy to reproduce for the holidays. Except that your fingers will be very inky. Mine were a beautiful deep blue for the rest of the day. I stamped and heat-embossed the snowflakes (with clear embossing powder) and stamped all of my images as well. (the snowbanks were created with the wavy lines included in the set.) I masked off the snowbank only, and sponged blue ink over the rest of the mat. I avoided the lamppost, since I was planning on coming back in with a yellow ink... there's something romantic about that yellow glow. I'm feeling a Sinatra-vibe with this one. I hope you like it! Pop over to the lawn fawn blog to see more with this set. 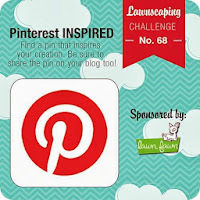 It's time for another lawnscaping challenge! The lawnscaping team is challenging you to be inspired by something on the web (it doesn't have to be pinterest) and then show off your inspiration photo as well as your own creation. With my Christmas card classes happening every friday night, (click!) I am in a holly jolly cardmaking mood almost all the time. I used the socks from "my silly valentine," the scarf and mittens from "making frosty friends," and the little snowflake from "let it snow." The sentiment is from papertrey ink, the twine is from lawn fawn, and I added a stripe of grey copic coloring at the top and the bottom of the white mat. I hope you like it! Play along with us, you could win a fawnie prize! An ugly sweater of a card. This post kicks off October's edition of lawn fawn inspiration week for me. Today, we're showcasing lawn cut dies for older essentials: winter bunny, making frosty friends, and winter owl. My favorite part is the candy cane in frosty's twiggy hand. Let's pretend I'm a knitter who decided that the stripes of the candy cane would be a nice compliment to the the sweater's trim... ha. Click over to the lawn fawn blog for more inspiration! I had all the card pieces cut for our class tonight when I spied the new challenge over at CAS-ual fridays. Sooo, I decided to fancy-pants the kits for tonight's class. I can't promise the same treatment for future classes, by the way. haha. I popped everything that my crafters will need to complete 4 cards into 4 separate envelopes (because, organization is my sanity-saver during class time) and into a brown lunch bag. Each bag got its own handles and a coordinating tag. When I'm making duplicates, I don't fuss with tiny alphabet stamps. The words "card kit" were printed out and I stamped that Mama Elephant critter so I wouldn't even have to mask anything. If you want to see a sneak peek of how everything looks all set up on the table for tonight's class, visit my facebook page (click!) I'm always excited to teach a little of what I know and enjoy the company of old and new friends alike! 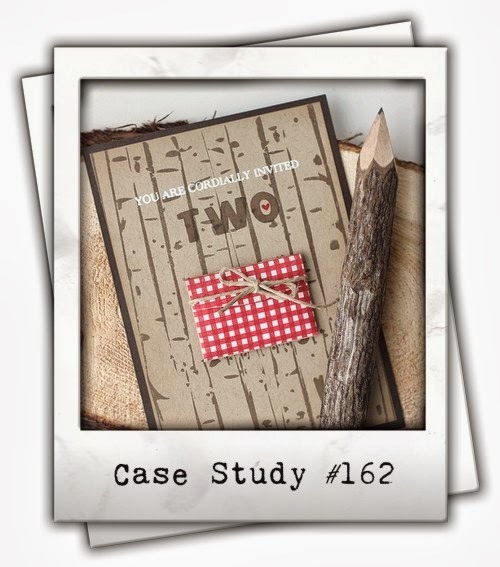 Are you ready for another CASE study? Here's what I picked up from the original invitation: the gingham (more muted this time around, with red ink stamped onto a red card base) and the woodsy background (from birch to a regular woodgrain, but still...) Instead of the original twine, I used a red embroidery thread on my girl's skirt. I hope you like my antsy lady - doesn't she look like she's standing on tip toes, waiting for Christmas fun? I drew her myself using a skinny copic multi-liner, colored her in with copics and added a tiny reindeer stamp to her sweater. A huge thanks to my friend Philana for cleaning up the image for me so that I could gift it out today. Pumpkin cookies, matching stamps and some washi tape. It's a simple design, but I didn't want to make anything fussy or very time-consuming this year. We have so much to be thankful for this year! Cheers to counting our blessings, and stuffing our faces full of turkey, sweet potatoes and apple pie. gingerbread house turned winter cottage. Here's what I did: I started out by stamping the gingerbread house (but I wiped the ink off of the doorknob before stamping down because I really wanted to add a smiley face instead) and masked it. Next, I stamped the window image to make it look like a chimney. Masked that. The smokey haze was created by cutting out random shapes to lay down as masks before swiping aqua ink over the entire area. Some glittery snow banks and cozy twine finished things off. I hope you like what I've created! 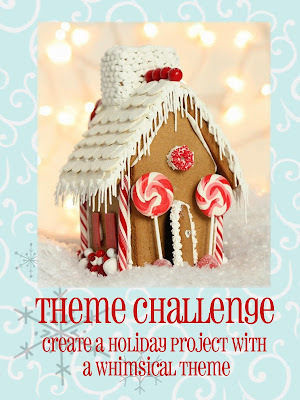 Head over to the Festive Fridays blog to see what the rest of their design team created. Just so you know, my matryoshka doll cards are probably still my fave. I may never make anything that awesome ever again. It may be too hard to see from this teeny photo, but if you click over to the original post, you'll see that the sentiment on that banner reads "it's what's inside that counts." (get it? GET IT???) I sort of ran with that. The original russian doll got a modern kind of makeover. I used circle dies for the head and head-wrap parts, tiny dot stamps for the eyes and free-handed the rest. The jar was an old jam or something-or-other jar. Do you keep yours? I love having a bunch on-hand for gifting. I grabbed a minty-colored-cupcake-wrapper and covered the ugly lid before adhering my lady to the top and the sentiment all around. The little polka flag hanging off the side was for extra flair. ha. I hope you like my CASE of myself! And, I hope you decide to play along. 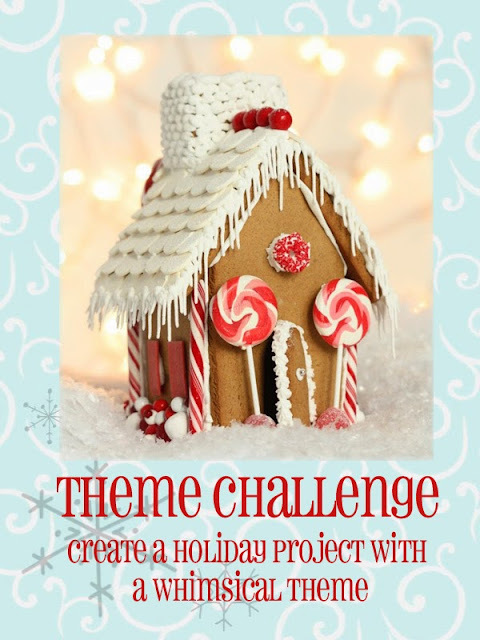 I loved seeing what you made last week and I hope to get around to commenting a lot more this week! thank you, baby girl...with a flouffy bow.